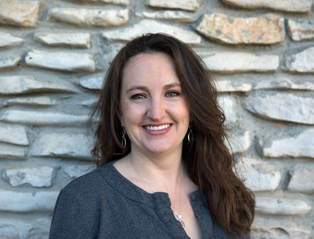 Amy is a seasoned grants professional with over 15 years of experience in successful proposal development, grants management, reporting, and long-range planning with a variety of organizations. She has a solid track record of consistent achievement and has raised $10 million+ within our community through private foundation grants, government contracts and capital campaigns. Amy also has 6 years of experience working with a national grant-maker, where she was responsible for the distribution and administration of over $50 million in grants. She is a strategic thinker and collaborator across all levels within an organization, guiding them on goal setting, budgeting, implementation and reporting. Amy’s skill set and strengths include strong analytical, problem-solving, and organizational skills and a deep knowledge of the philanthropic community. Amy is a graduate of St. Edward’s University with a Bachelor of Arts in Sociology. She genuinely has a passion for making a difference in our community and the world in which her daughter will grow and thrive. A native Austinite, she has also volunteered or worked with most of the non-profits in our community serving youth and families. In her free time, Amy enjoys gardening, traveling and reading a good book.